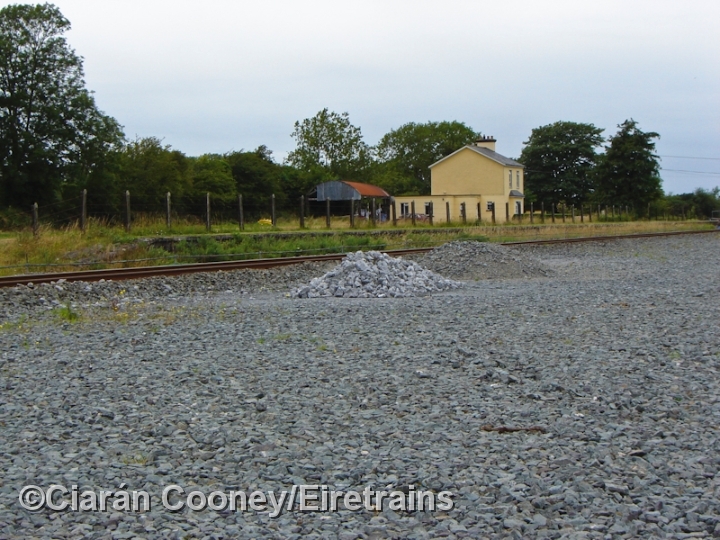 Gortatlea Station, Co.Kerry, on the 1859 built line from Killarney to Tralee, was the junction for the short 1875 built line to Castleisland. The branch lost its passenger and goods service in 1947, but the goods traffic recommenced in 1957 and continued right up until January 1977. The branch line remained derelict for just over 10 years, been lifted in 1988. Gortatlea Junction station itself closed in September 1963. It once had both up and down platforms, with a bay for the branch trains. Today, only the down platform remains, adjacent to the station masters house. All other buildings, which included the signal cabin and goods shed on the up side were demolished. A mound of earth and ballast has been dumped on the junction site at the east end of the station. 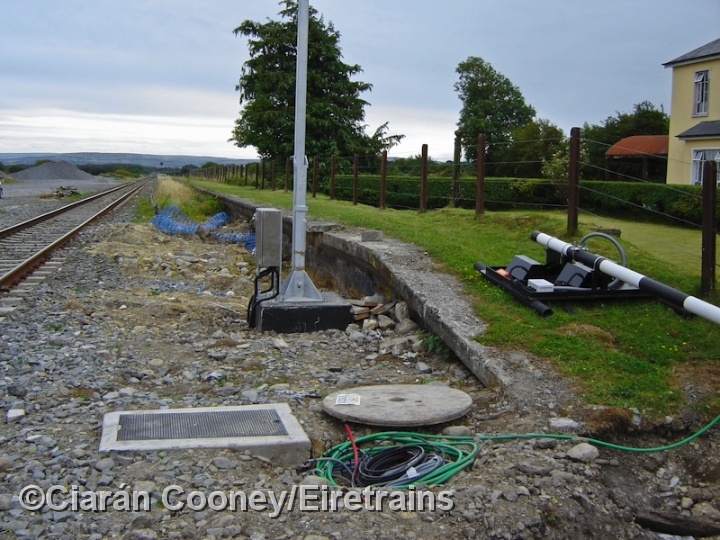 1 This is the former down platform at Gortatlea Station, looking east towards Mallow. The up platform and its associated buildings have been demolished. 2 A view of the former Gortatlea Station, showing the disused down platform. The yellow painted house is the Great Southern & Western Railway station masters house. 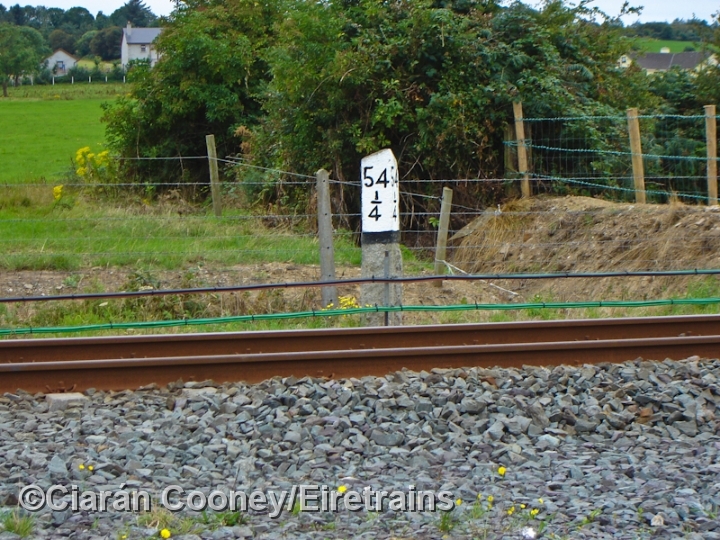 3 This was the site of the junction at Gortatlea with the short branch line to Castleisland, which converged from the right. The branch lost its passenger service in February 1947, but remained in use for goods traffic until 1975. The branch was finally lifted in 1988. 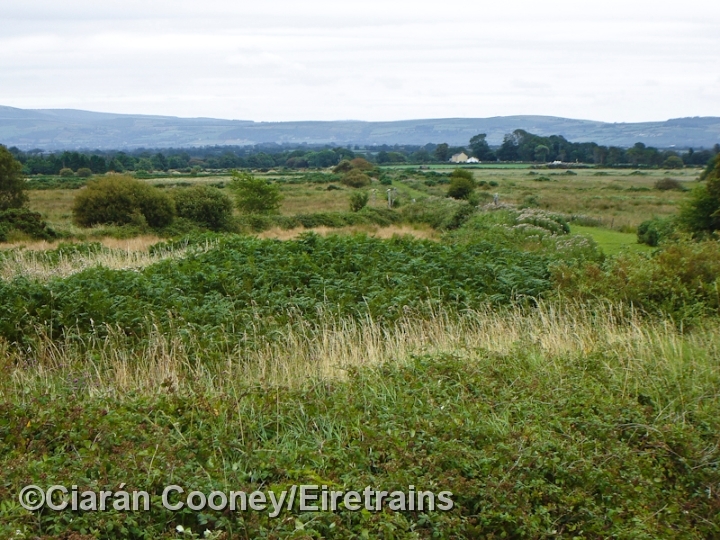 4 A view looking towards Castleisland at the junction site at Gortatlea, showing the grassy trackbed still intact curving away to the east. 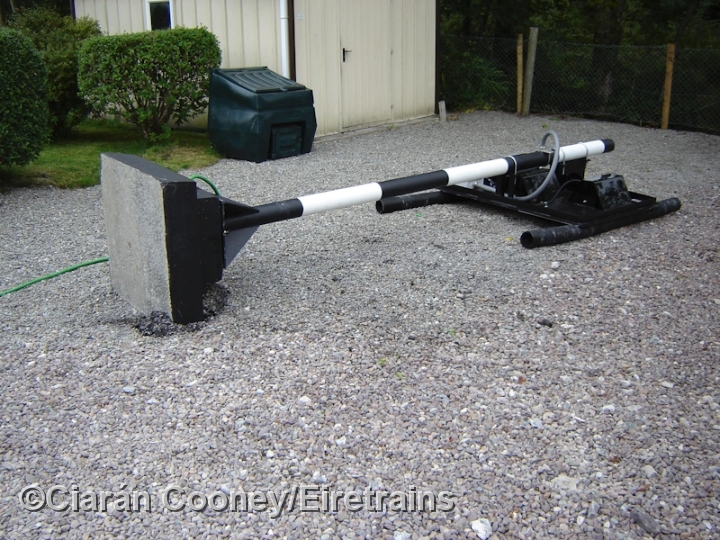 The wooden posts of a farm level crossing can also be seen. 5 Part of the ornate Victorian footbridge at Gortatlea Station still remains in situ on the disused down platform. 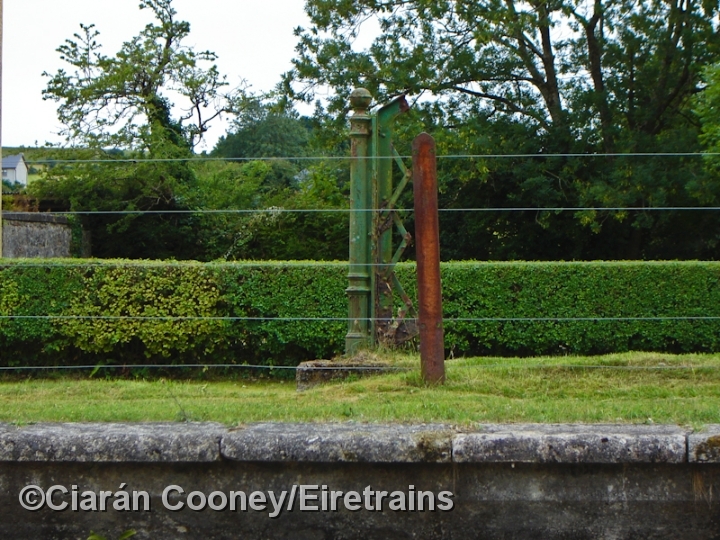 6 One of the 1850s installed Great Southern & Western Railway mile posts, measured from Mallow, at the east end of Gortatlea Station. 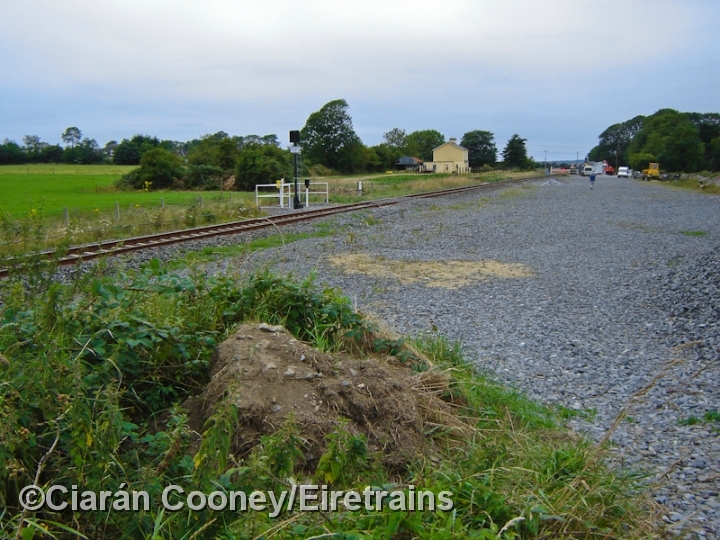 7 The station level crossing at Gortatlea, looking west towards Tralee, with the crossing keepers house on the right. 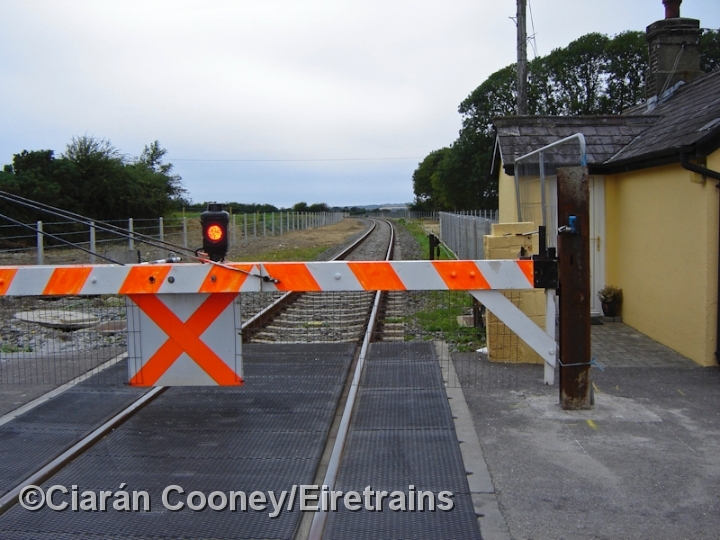 The manual gates have since been replaced by automatic barriers. 8 One of the road traffic lights awaiting installation for the automatic level crossing at Gortatlea Station.